One of the most important elements of art is LINE, it may be simple, but you can create amazing works of art by simply using line. 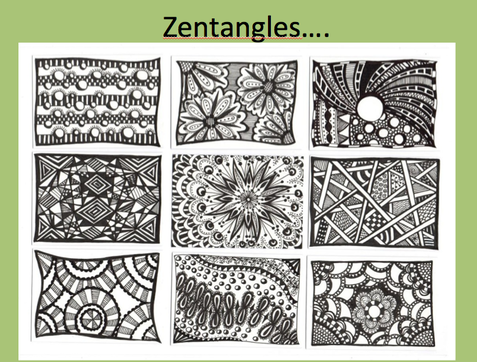 Zentangles are a meditative drawing practice composed of line and pattern to make a unique composition. 8th graders are using line and variation to create a zentangle within an animal. 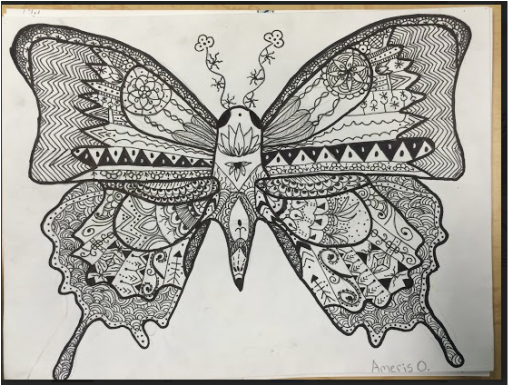 Zentangle Butterfly by America O.
Zentangle Dragon by Keilee K.